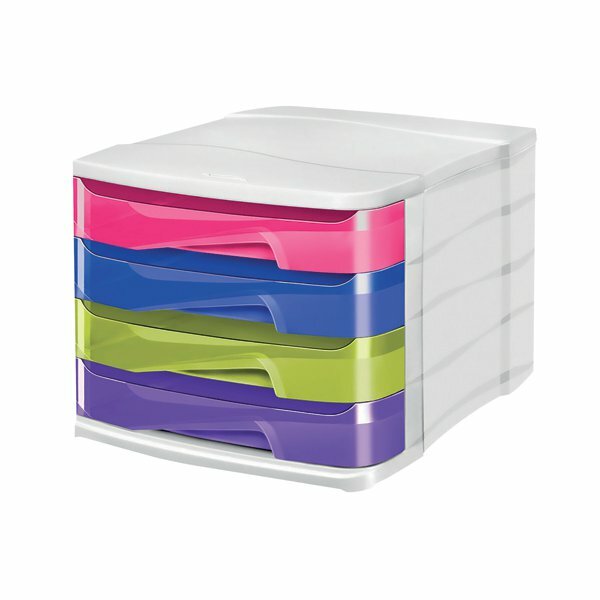 Made from recyclable, shock resistant polystyrene, this brightly coloured CEP drawer module features 4 drawers, which can hold documents up to 240 x 320mm in size. Each drawer has a retaining stop and an access slot for quick filing. 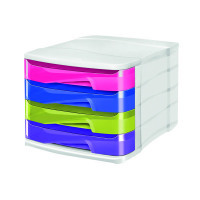 Stackable up to 2 high, the drawer module comes with anti-skid, anti-scratch pads. This 8 drawer module measures W292 x D386 x H246mm.